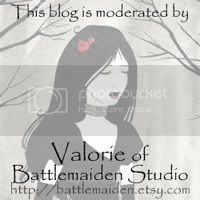 Battlemaiden Studio: Here there be dragons! I've been back in the studio this week, getting things unpacked and organized, and getting some new work done in all of that chaos as well. I'm working on a new 16x20, and I'm already really enjoying it. I'll be recording the inking and painting process and I'll try my hand at my very first speed painting video! If you don't know what that is, take a trip over to YouTube and do a search for "speed painting". A lot of what you'll see is Photoshop, but there are several "real" (tangible) paintings up there too, and many by other Etsy artists. It basically shows the progression of a painting that took hours and hours to make condensed into a fast-forwarded few minute production. 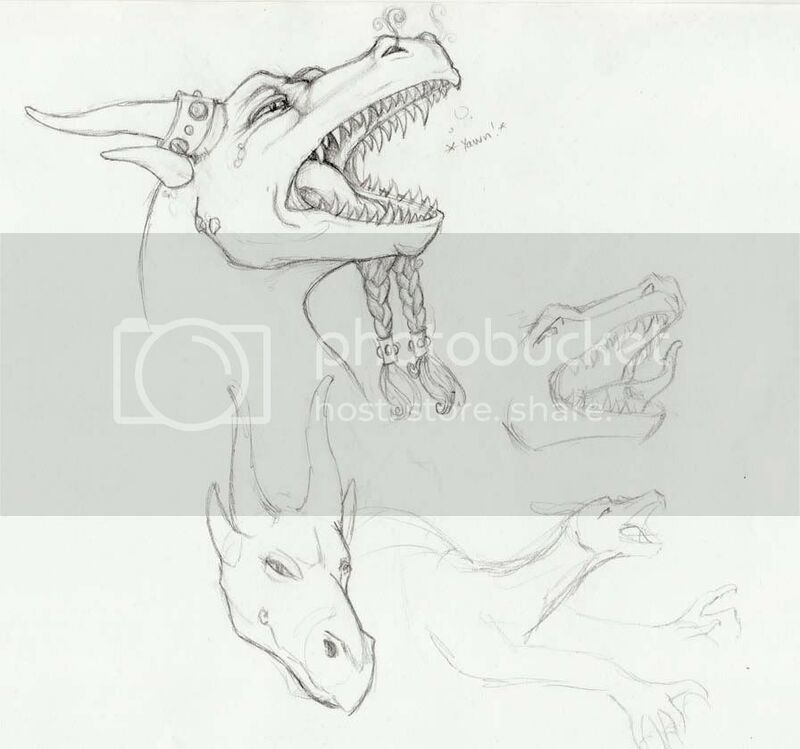 Dragon yawn! 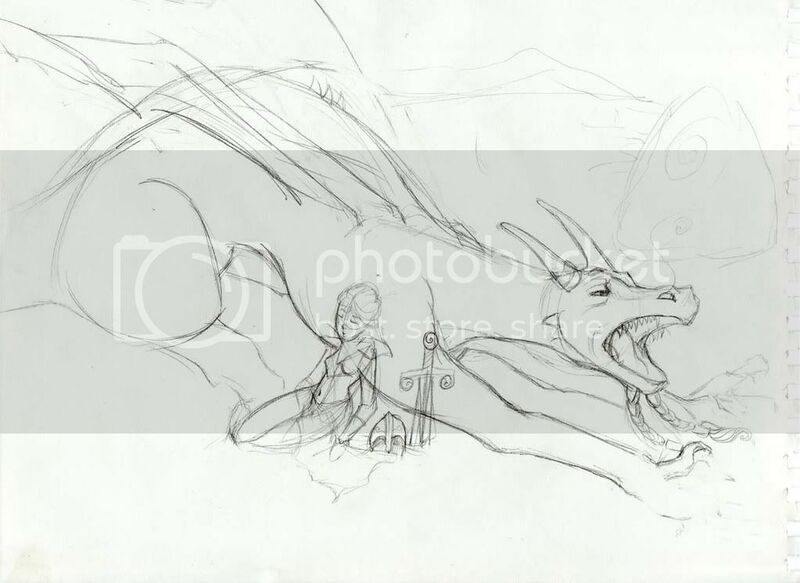 This was the sketch that started me working on this project. Here's the full concept sketch before I worked out all of the details. The sketch is about 1/4 the size the final painting will end up being. Our little warrior's armour. I wanted to work out a pretty design that was dragony. I'm looking forward to working on the full sized painting! Oh my gods!!!! I can't wait to see this. 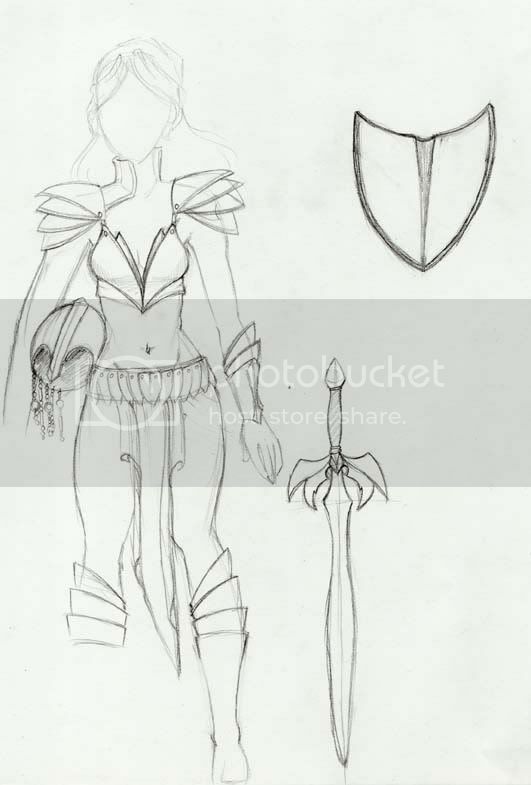 The armor can also be scale maille to go along with the dragon's scales. ;) Just had to get in a word about maille. Seriously though, Valorie, I can't freaking wait to see this piece.